In looking across a number of definitions of Advocacy from the political and non-profit realms, the common thread is "active, public support." With our marketing hats on, the disproportionate value of an advocate is clear. This is not just someone who buys your product or has internal pleasant vibes about your brand, but is willing to share his or her positive experiences/thoughts/feelings about you with others. Identifying and activating these folks with more fodder for them to experience and share is at the heart of Word of Mouth Marketing and will be a big focus at WOMMA"™s upcoming Summit in Las Vegas November 12"“14. Planning for that event has brought up a lot of lessons from another recent event. In early October, Spredfast brought together practitioners from 85 of our customer companies for some best practice sharing and community. While advocacy certainly happens both on and offline, the focus of our Summit was around how a marketer can power advocacy through the unique relational dynamics of social media. Social technologies create a host of additional ways that an advocate can interact with the brand and ways for advocates to show their support. At its heart, when we talk about any sort of social engagement, we"™re talking about advocacy "“ how we spark the people who have already decided to like, follow, subscribe or fan us to take more action and share with more audiences and networks. At the Spredfast Summit, we learned the way that diverse companies like Hershey's, HomeAway, AT&T, CNN, Jive Software and Whole Foods Market are sparking advocacy in their communities. Those brands have completely different cultures and dynamics among their advocates, but the discipline of learning about their advocacy communities and trying to feed, inspire, and learn from these communities is what Word of Mouth Marketing is all about. The fabric of social media transforms a focus on advocates from "preaching to the choir" to some of the most focused, powerful marketing possible. Social empowers advocates to tell their unique stories about you to the "new" audiences most likely to also enjoy your brand "“ people like them. Here are some examples from summits past and present: Focusing on your Advocate Core - Loyalty Lessons of Lady Gaga. We were lucky enough to have Jackie Huba preview what will be her full length debut keynote at the WOMMA Summit at our Summit earlier this month. Lady Gaga is not just the most followed person in social media, she has embraced her fanatic, public supporting1%ers - or "little monsters" - and used them as the core of her marketing initiatives. You"™ll learn how she"™s used these dynamics to launch her tour, her body image project and ultimately directly launch her music. 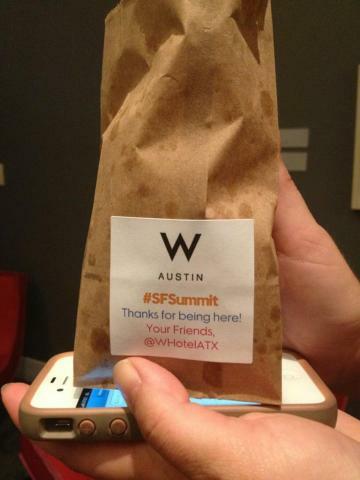 Listening to Advocates "“ During the Spredfast Summit, Global Online Community Manager at Whole Foods Market, Michael Bepko, tweeted that he wished we could get some of the W Hotel's famous truffle popcorn for the event. 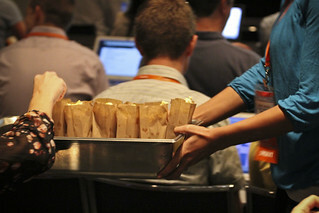 The next day, as Michael took the stage for his panel, the W delivered small bags of the popcorn to every attendee with a thank you note and a hashtag inspiring some very powerful advocates to share their thanks. Learning the Discipline of Cultivating Advocacy "“ I am looking forward to the WOMMA Summit keynote from organization co-founder/Chief Digital Officer of Nestle Pete Blackshaw on how he has trained his global organization to put inspiring digital WOM at the heart of their activities. Other angles on this include Intel sharing their approach to content planning and AT&T talking about how these stories are made even more powerful with advertising. The Spredfast Summit was a great reminder about how much you learn whenever practitioners with the same vision are gathered. Looking forward to gathering far more to share next month in Vegas and hoping to create some more advocates for the WOMMA community along the way.